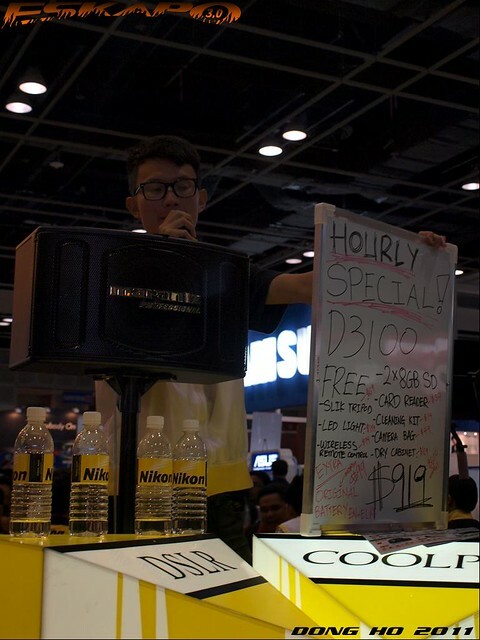 people on top of platforms were holding high their promo signboards of tech gadgets during the COMEX 2011 in Singapore last weekend. 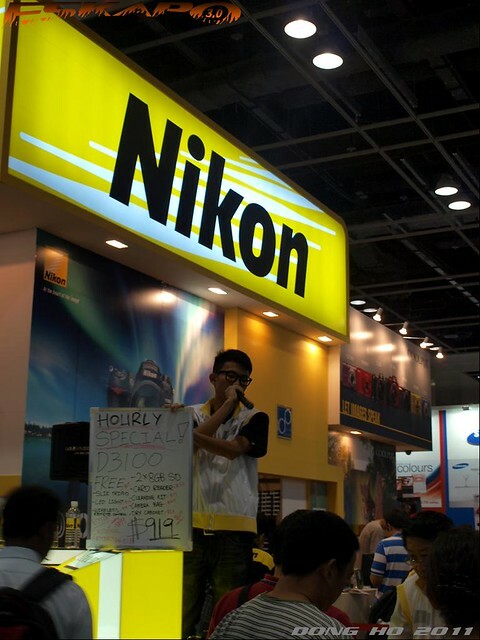 camera brand giants like Nikon, Olympus, Panasonic, Canon and Sony participated along with the other tech gadgets and gears. 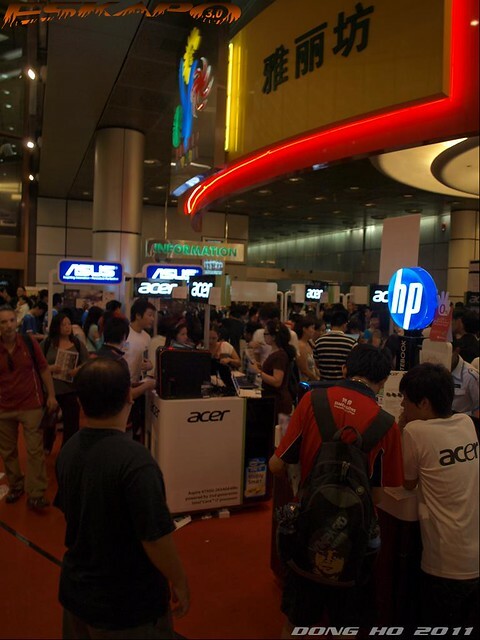 Singapore is known for some of the best tech trade shows and exhibits. 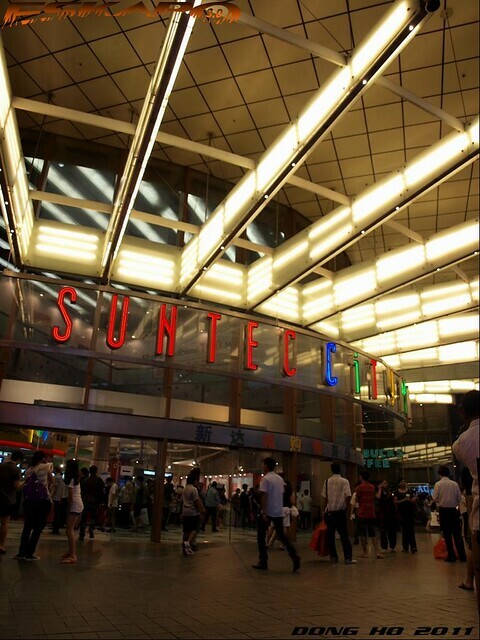 this year's COMEX was held at the convention halls of Suntec City. 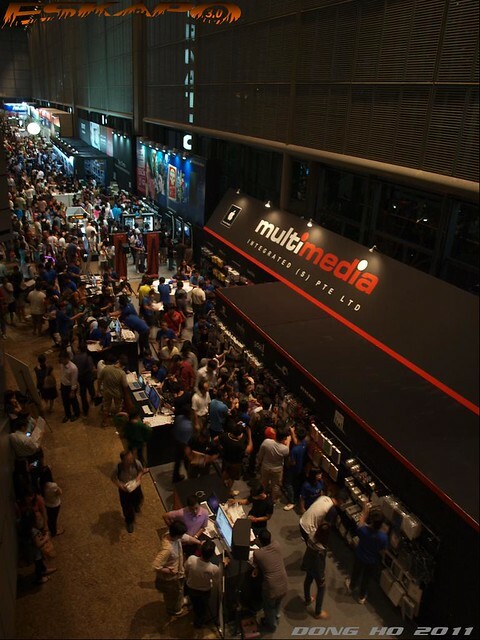 exhibitors occupied three floors including hallways which gave way to tech accessories. 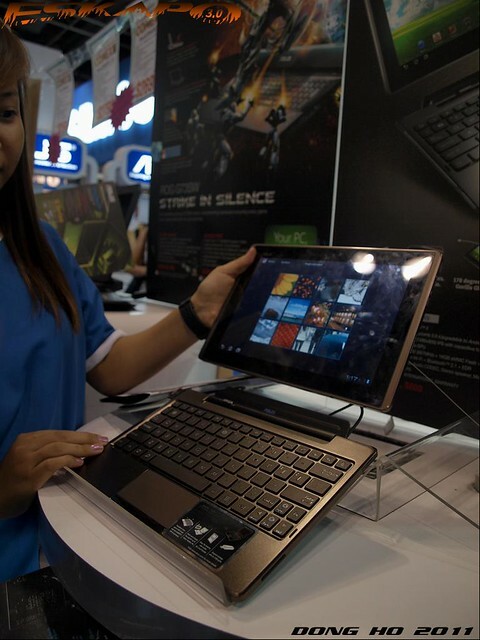 you will either get the gadgets at great deals or bring home lots of freebies that comes along with it. camera lens was not included. 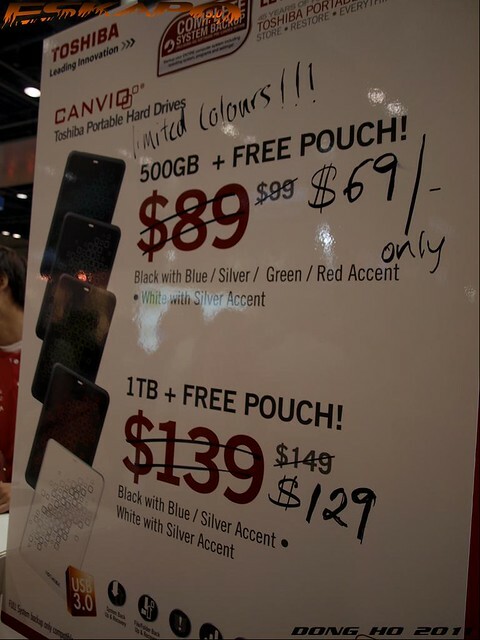 among the best deals were the portable hard drives. for travelers who would need to have their photos stored. It's very pleasant to have the opportunity to participate/visit such a big fair. Nice photos! 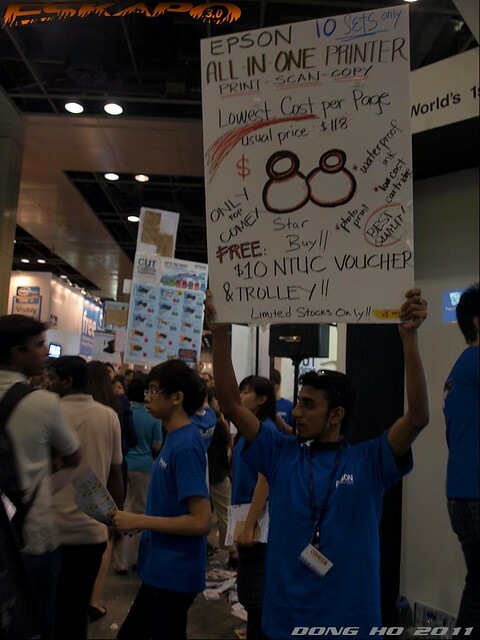 i've heard of great bargains from events like that in singapore. ang mura ng hard drive! Interesting to see all those lighted stands. Very important brands indeed. About cameras, I find Canon products really excellent. Awesome, this is something for gadget buffs! So yeah, did you buy anything? Wow, events like this (besides travel shows) is something I'd love to go to. I have yet to attend the CES in Las Vegas. In the meantime, I just go to Best Buy, Apple & BH Photo Video stores in NYC whenever I have that gadget itch!